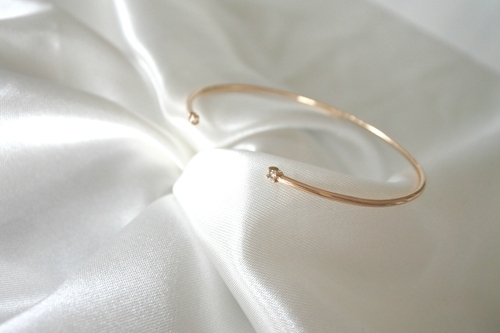 This bangle is made in 18K gold (choose between red, white or rose gold) with two gemstones on each side. 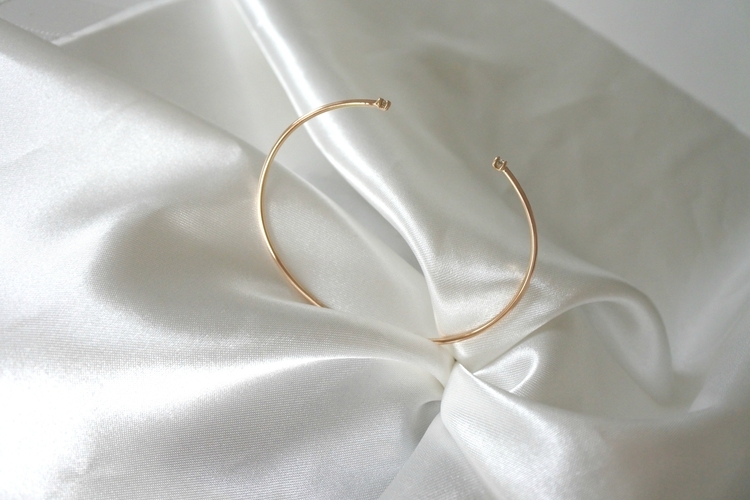 This piece of jewelry is made by hand in Sweden with recycled gold. 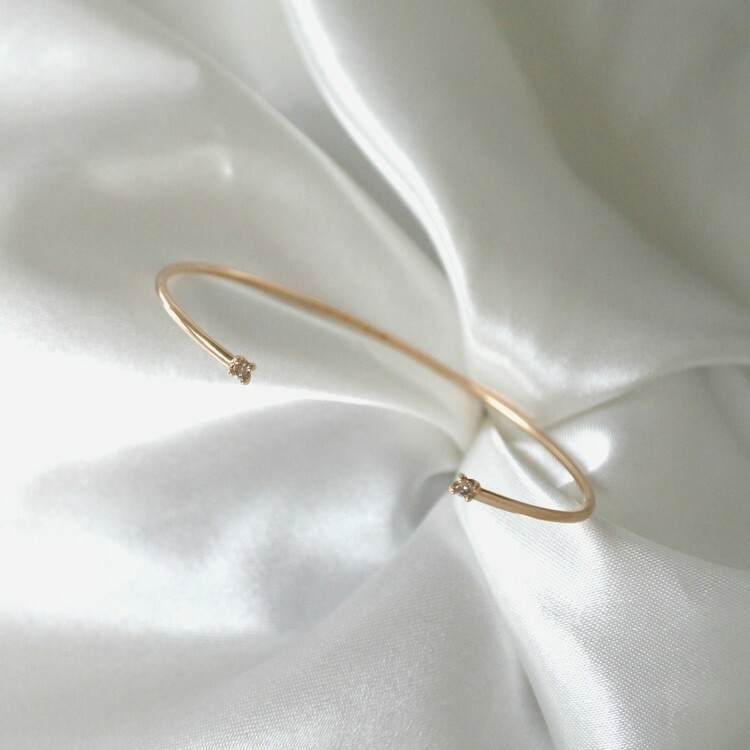 This bangle is made to order after your ring size, choice of gemstones & choice of gold. Do you need your bangle faster? Email me at contact@malinivarsson.se and we will see what we can do. The bangle is a bit adjusteble by pushing & pulling it. So if your having the size S you can also wear XS and M depending on how you like the fit. If the bangle doesn't fit you we can of course fix it afterwards.